Equities start the day higher as Greece reaches some kind of deal. I’m not sure how many times I’ve written that sentence in the history of my market recap but I know it’s greater than 5. Is it a good deal for Greece and her people? I don’t know, I’m probably not the foremost expert in currency union politics (I know, im sorry, I skipped that class for this crazy “mimosas in PJs party”) but could any deal be all that great without some kind of haircut / debt relief? Actually reading through the text of it we could probably sum this thing up with one phrase: “the beatings will continue until morale improves”.That being said, what appears like more of the same for Greece is not more of the same for stocks! We walked in to futures up 12 pts (about half a percent) and this little correction feels like its run its course. How do we know that for sure? A guy I follow on Twitter (@dasan) pointed out that Apple was the tell (you knew I’d bring this stock up didn’t you?). Back on Thursday people were puking Apple stock like iPhones caused Global Warming. Why does that matter? Because when the best stock on the board gets taken to the woodshed people are at the end of their selling list (they make 92% of smartphone profits for crying out loud). When you’re thru all your shaky stuff and decide that Apple or Disney or Nike have to go well that’s what we call capitulation my friends. So hopefully Greece and the market can settle down for a bit because we have earnings on deck You know, actual corporate cash flows that get assigned a multiple and determine a stock’s valuation? Heaven forbid we focus on those instead of year 82 of a Greek crisis. After the open the NY Post ran this story and we were off to the races. Unfortunately the race ended right after it began because the market decided to go sideways. A 4 point range between 940am and 1pm? That’s right, Greece being fixed mean volatility go bye bye. I mentioned last week that I thought “kicking the can” would put us right back into the range and boy did it ever. Speaking of things that are bankrupt, apparently 50 Cent filed for Chapter 11 today. Come on, how is that even possible? This guy had a once in a life time home run with sugar flavored water and now he’s not even liquid? Lots of fresh all-time highs today: DIS, DG, UA, NKE, SBUX, EA, AMZN, and FB to name a few. Who else is pumped up for this AMZN Prime Day thing? I know I am.If they have paper towels on sale I’m gonna buy 2 years worth because my kids use a roll a day. Seriously though, this whole thing is just genius. 1) Create a special shopping event mid-year for a select group of customers 2) all of a sudden “non-Prime” people feel left out 3) people hate feeling left out 4) especially when paper towels are on sale 5) prime subscriptions sky rocket 6) AMZN locks in more recurring revs (think how much COST makes off all those recurring membership fees) 7) Bezos laughs all the way to buying a Greek island. Brilliant. Anyway, by lunch we trading near the top of the daily range but going nowhere fast. The last few hours saw us break out of that miserable range and close at the highs of the session, 2,099, up 1.1%. So here we are, back at 2,100, facing the exact same scenario we faced before Greece rocked the boat: a market trading at a fairly rich valuation alongside an economy that is puttering along. But you know what, it’s been that way for a long time. Greece was never going to be the end of the rally, nor was China’s gong show. The end of the rally is a recession, period, and that’s not here yet. So get ready for companies to jump over a broomstick because earnings estimates have been lowered dramatically. You know what that means right? Time for the old “but they beat expectations” rally! Final Score: Dow +122bps, S&P500 +111bps, Nasdaq +148bps, Rus2k +106bps. Succinct Summation of the Day’s Events: Overnight deal in Greece puts some pep back in our step. Time to start worrying about earnings and less about tiny nations in Europe. Here is every “GR” word that’s been invented. I’m partial to “Grimbo”…there’s something about it that I like. How about this David Einhorn quote: "In today’s market, the best performing stocks are companies with exciting stories where accountability is in the distant future"
I love this article by Morgan Housel: The Hierarchy of Investor Needs. “Every one of these topics is incredibly important. None should be belittled. But you can be the best stock-picker in the world, yet if you buy high and sell low – the epitome of bad investing behavior – none of it will matter. You will fail as an investor. You can be a great stock-picker, but if you only have 20% of your assets in stocks – a poor asset allocation for most investors – you're not going to move the needle. A common problem for any investor to stumble on is the temptation to solve one problem without first mastering a more fundamental one” Here is what I love about it, “costs” aren’t at the bottom. We’ve gotten so caught up in passive vs active, high cost vs low cost, that we’ve lost sight of the most important need: investment behavior. 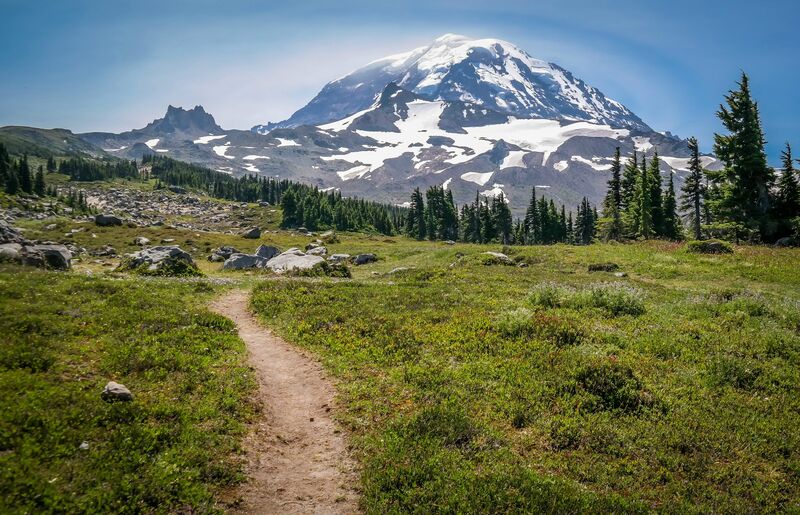 Tell me you wouldn’t love to hike around Mt Rainer. Backpack with a couple micro brews and some Gorp? Yes please. Could this make soccer viable in the US? I think so! Look at this chart of how much money ESPN makes for Disney. I swear ESPN is literally the last reason I have cable. If I could get HBO / ESPN / and my local channels in HD I’m done with cable forever. Man….Volvo is going for some next gen baby stuff huh? We’ll end tonight with friends who make poor decisions. If your best girl is rocking out to her favorite song this might be the last thing you want to hand her.